Originally published on Fox & Hounds. The state needs to provide community members with the tools and information they need to successfully fulfill their mission to hold school districts accountable. Pending now at the State Board of Education are revised state regulations that aim to further shape and define how LCFF will be implemented moving forward. The draft regulations, which were released to the public on June 27, include important improvements to help ensure that high-needs students will benefit from the funding they generate under the new formula. However, we believe more work is needed to increase transparency. Currently, budget experts are facing difficulties deciphering information from the new Local Control Accountability Plans (LCAP). These plans were created under LCFF to provide transparent accountability to both the state and our local communities by describing the outcomes districts are attempting to achieve and how they are using their funding to accomplish those outcomes. If budget experts are unable to determine this information from local LCAPs, parents and community members cannot be expected to. This creates a major roadblock in their ability to scrutinize and analyze LCAPs and provide input. LCAPs should provide greater clarity on how students are doing and how resources are being used, as well as provide guidance for school districts on how to make that information accessible in real-time. Without this level of transparency built into the state regulations, the intention of LCFF to ensure that community members have a meaningful role in the school district budget process and that budgets will reflect the needs of all students, particularly those who are high needs, will not be fulfilled. 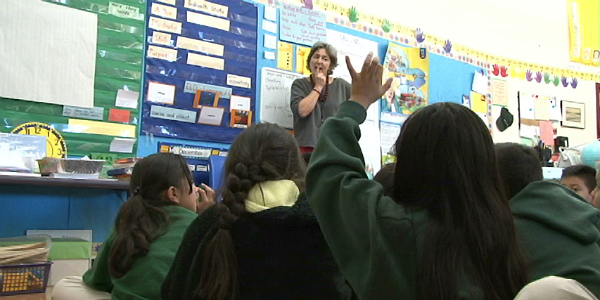 California made a historic move in reforming its education funding system in a way that has given an unprecedented and welcome impetus to public participation. So, as the State Board of Education and leaders across California review and discuss the draft regulations in Sacramento this Thursday, let’s laud the progress that has been made and work to make improvements that will help turn the promise and opportunity of LCFF into a successful reality. Helen Hutchison is President of the League of Women Voters of California.